With These Floral Arrangements, Pillows & Scented Candles, Each Day Is Valentine’s Day! For the love of flowers, home decor products, and everything soft (and kinda cheesy), check out Floral Artisrty in Kilpauk. This store is a haven for exotic flowers and succulents. We are in love with the purple lilies, roses, and chrysanthemums - the way these flowers have been arranged and grouped is great. Ditch the generic rose bouquet and get these mixed floral arrangements. 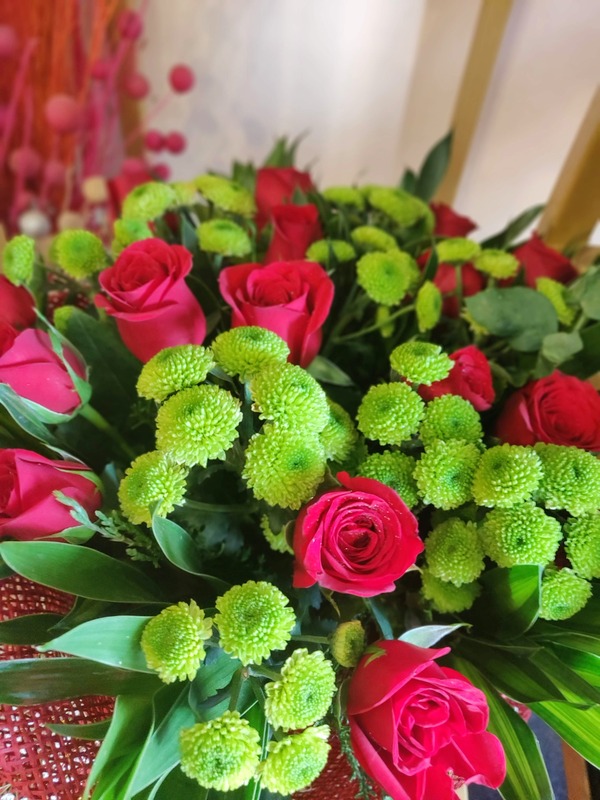 The green and red combo of roses and chrysanthemums is priced at INR 200. They’ve got dual tone roses and golden roses too. Floral Artistry also has a bunch of heart-shaped pillows priced from INR 250. You may think it’s tacky but it is super soft - it feels like a foam pillow but must softer and comfier. These pillow are perfect travel buddies if you’re on a weekend getaway and want to pack light. Also, they make for great gifts. You can get scented candles, little baskets, and home decor products to litter you home with.